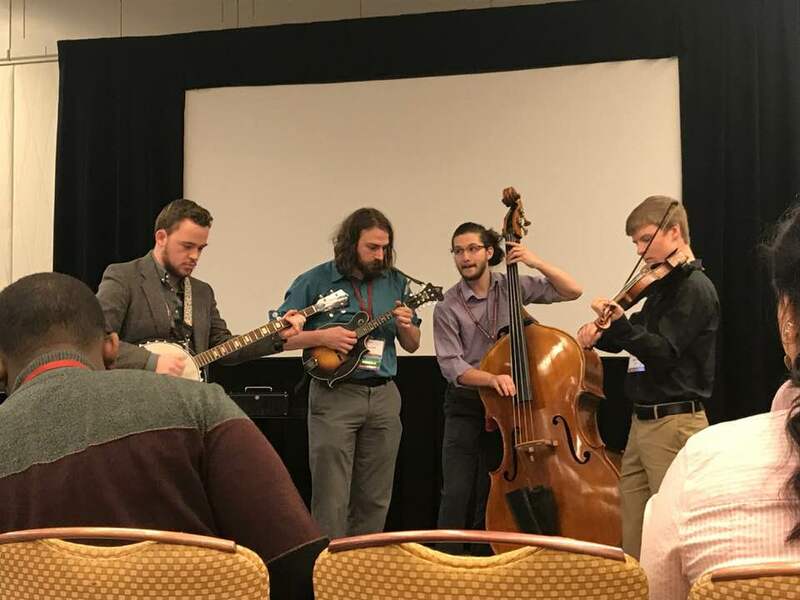 UNCG string education students and music faculty presented at the 2018 American String Teachers Association (ASTA) National Conference in Atlanta, GA from March 7-10. Andrew Beach, Robert Bohinski, Evan Campfield, and Matt Laird were accepted and performed in the Eclectic Styles Masterclass for Mike Block from the Berklee School of Music. Andrew Beach was also selected to perform in the double bass masterclass with clinician, Kurt Muroki of the Indiana University Jacobs School of Music. Dixie Ortiz and Kayla Meek were invited to participate in a panel on Diversity and Inclusion in music education as part of a presentation entitled, Culturally Responsive String Pedagogy: Exploring Directions for Research and Teaching. UNCG professor of conducting Dr. Kevin Geraldi presented a session entitled Compelling Conducting: Creating, Connecting, and Communicating By Refreshing and Revisiting Fundamental Principles of Conducting. Dr. Rebecca MacLeod presented Sharing Our Secrets: Rhythmic Accuracy and Nuance. Dr. Christen Blanton presented research on Elementary students descriptions of leadership skills.